Time until Star Blazer release day! 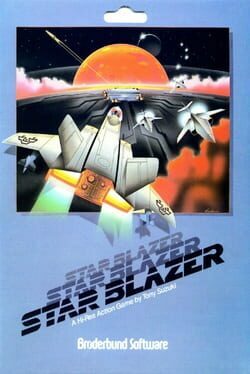 Star Blazer was produced by Sega in 1983. Other machines made by Sega during the time period Star Blazer was produced include Astron Belt, Champion Baseball, Champion Baseball 2, Champion Boxing, Commando (Sega), Zoom 909, Zektor, Tac/Scan, Super Zaxxon, and Super Locomotive.